Meet the Lenovo V330 AIO-the perfect choice for everyday business. 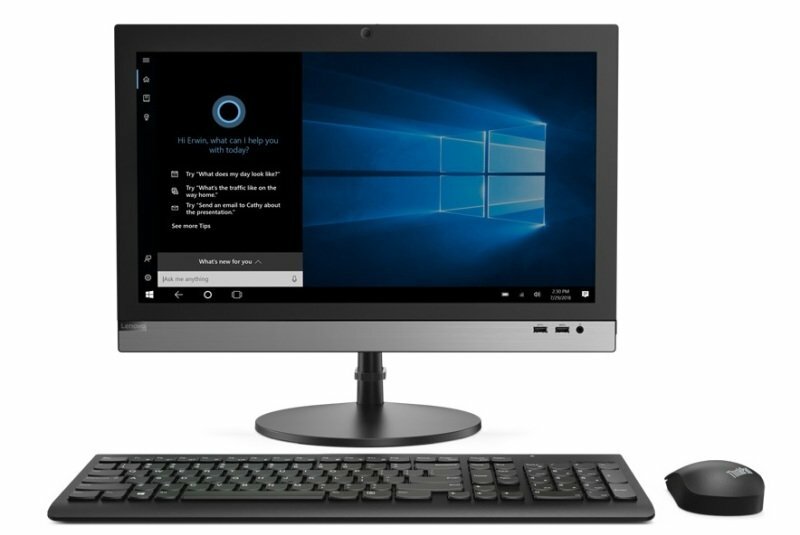 The latest processors, robust memory, and optional high-speed storage help keep employees productive, while its minimal footprint and low-blue-light 19.5" display help keep them comfortable. All while its security features help keep your data safe. The V330 AIO's integrated firmware, Trusted Platform Module (TPM) 2.0, encrypts your data and your passwords. And its BIOS-based Smart USB Protection lets you further protect your data-simply configure the USB ports to respond only to specific devices, preventing unauthorized copying of files. The V330 AIO exudes professionalism, thanks to its contemporary style and space-saving design-complete with a cable management system to reduce cord clutter. Give your business a memorable face. With its 8th Gen Intel® Core™ processors and performance-enhancing memory, the V330 AIO will get the job done-it's fast, responsive, and reliable. And optional high-speed PCIe solid state storage drives will enable you to switch between apps and handle large files easily. This AIO will help you maximize productivity-and your bottom line. Not only is the V330 AIO impressive to see, it helps avoid eye strain in the process. The 19.5" antiglare panel scatters light and the PC's Low Blue Light Certification ensures your eyes will stay comfortable when working those long hours.